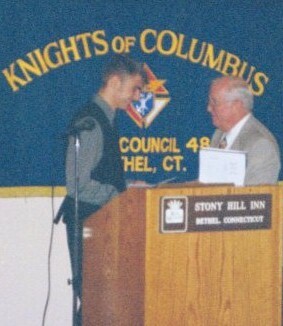 The Annual Scholarship Awards Dinner was held on Thursday, June 11, 1998 at the Stony Hill Inn. Following a reception and delightful buffet dinner, the Nino Vaghi Good Sportsmanship Award and the Bernard J. Dolan, Sr. and Arthur J. Mannion, Sr. memorial scholarships were presented to this year's recipients. 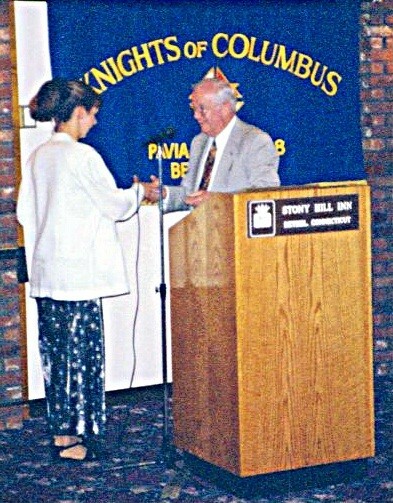 The evening offered the opportunity to renew acquaintances with the 1995, 1996, and 1997 recipients of these scholarships who attended as Pavia Council guests. 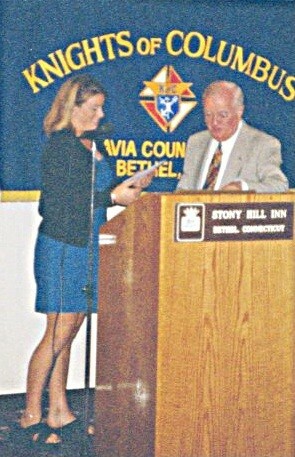 Alice Knapp, Director of the Bethel Public Library, provided the keynote address for the event. Alice's comments centered around the development of the new Young Adult/Teen Services Program in the library and how this program is helping to reach this often overlooked (teens to 20-somethings) segment of the library's constituency. The 1995, 1996 and 1997 scholarship recipients joined this year's honorees at the dinner. 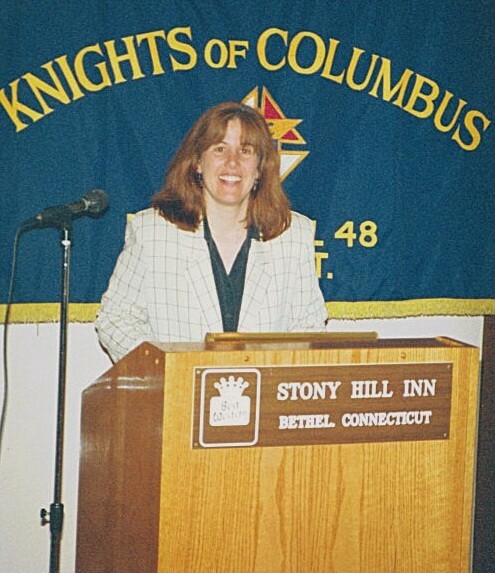 Lesley Charlene Reis (Mannion '96) could not attend but sent her best regards through her mom!